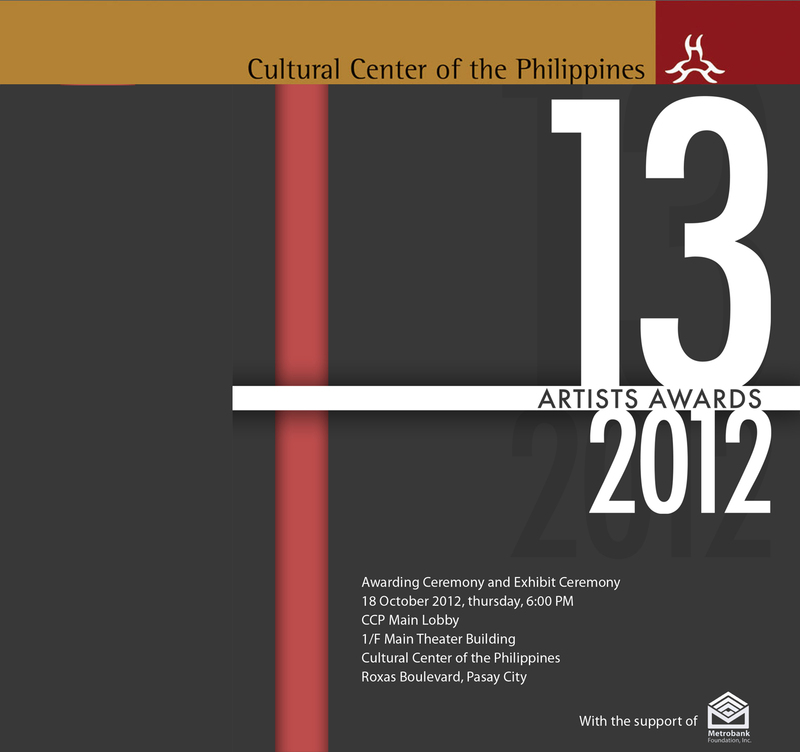 The Cultural Center of the Philippines has selected the winners for the 2012 Thirteen Artists Award (TAA). The list includes artists engaged in a variety of contemporary visual arts forms such as painting, printmaking, photography, sculpture, and video installation works. This program was first conceived in 1970 initially as a curatorial guide for an exhibition organized by then CCP Museum director Roberto Chabet. 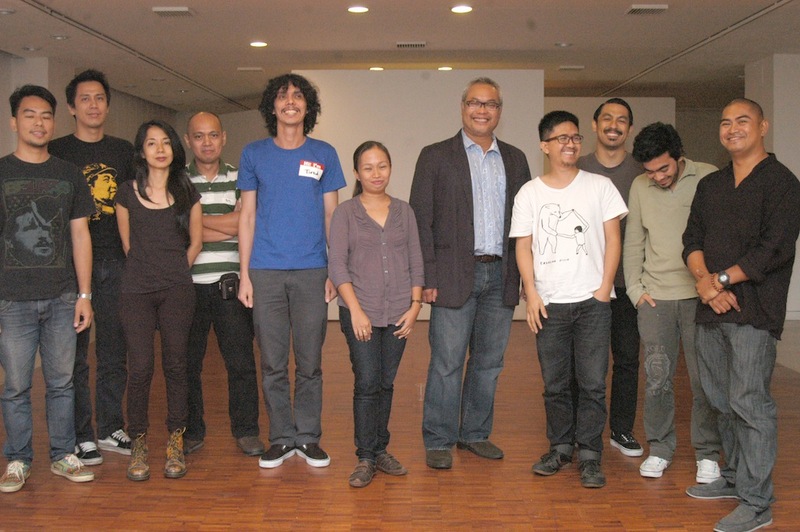 His intent was to identify artists who took the “chance and risk to restructure, restrengthen, and renew art making and art thinking….” It was later adopted as a biennial award by Chabet’s successor, the late Raymundo Albano. This makes the TAA the oldest award program conferred by the CCP, two years ahead of the National Artist Award which started only in 1972. Since 2009, the TAA has been a triennial award. It is administered by the CCP Visual Arts and Museum Division (VAMD) under the Production and Exhibition Department. During the two and half month nomination period (between February to mid‐April), 56 nominations were received from museum directors, gallerists, independent curators, heads of art and cultural organizations, and former TAA awardees. From these, 79 artists qualified for the selection process. This year’s panel of jurors included past TAA winners namely Pandy Aviado (1970), Agnes Arellano (1988), Elmer Borlongan (1994) and Ringo Bunoan (2003), with Boots Herrera, VAMD Director, representing the CCP. Winners will receive a cash grant to defray cost of materials for producing new works for a group exhibition at the Bulwagang Juan Luna (Main Gallery). 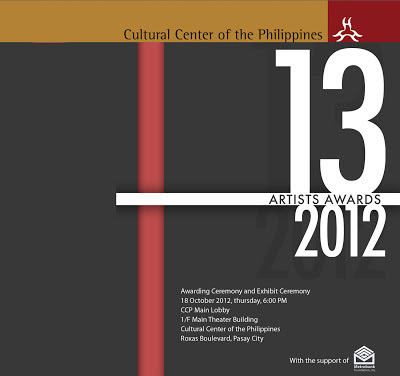 The exhibit opening on 18 October 2012 will be highlighted with the formal recognition of winners. This year’s exhibition is curated by Lena Cobangbang and the trophy was designed by Gary Ross Pastrana, both also former TAA awardees.